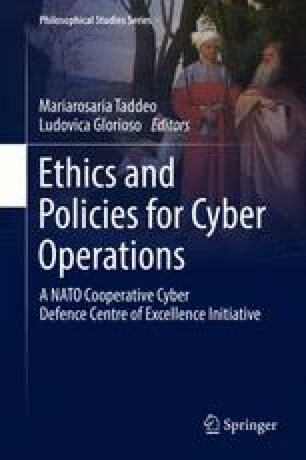 Cyberharm is an increasingly used and useful concept for the ethical analysis of actions in cyberspace. At the moment, two accounts of cyberharm dominate the discussion: the instrumentalist view where only harm to material human interests is morally relevant and the intrinsic view where information systems have independent moral status. I reject the latter as ontologically implausible and the former as normatively impoverished. I then describe a richer account of the human interests that are affected and constituted by our relationships with information systems. Relying upon legitimate human entitlements to the social bases for friendship, proper pride, and theoretical reasoning, I show that the richer account can incorporate the best elements of both, rival views. I then apply this richer account to the issue of when cyberharm constitutes a casus belli, arguing that the value of political self-determination is essential to understanding when cyberattacks generate unilateral rights to self-defense. Smith, Patrick Taylor. 2016. Cyberattacks as Casus Belli: A sovereignty-based account. Journal of Applied Philosophy: doi: 10.1111/japp.12169.